Safely and easily increase your internal qi energy. This energetic signature is sourced directly from the quantum field and is designed to increase qi energy in the body. The Increase Qi mandala is part of a new line of Ultra-Strength mandalas, which are extraordinarily powerful quantum energy apps. "Yes it is really strong, I got a jolt of energy opening it, a beautiful flow which makes the Yin-Yang symbol move immediately and with it everything… Beautiful !!" "WOW!!! This is like getting plugged into a battery charger. I felt something almost instantly." " I'm feeling energized and clear . . . . I can feel the Qi flowing even more than after my Qi gong class. I also feel like I can mentally direct the energy flow throughout my body." Energetic Signature: This signature is sourced directly from the quantum field and is designed simply to increase qi energy in the body. Qi is the Chinese term for life energy, or life spirit, a vital force that flows through all living things. It is an essential part of Traditional Chinese Medicine, acupuncture, qigong and the Chinese martial arts. Open the qi app on your computer, laptop, phone or tablet. As soon as it is opened, it will immediately broadcast quantum vibrational energy patterns to quickly and safely increase your inner qi energy. Use this qi app during meditation, qigong practice, tai chi practice and as often as you like or can comfortably stand. 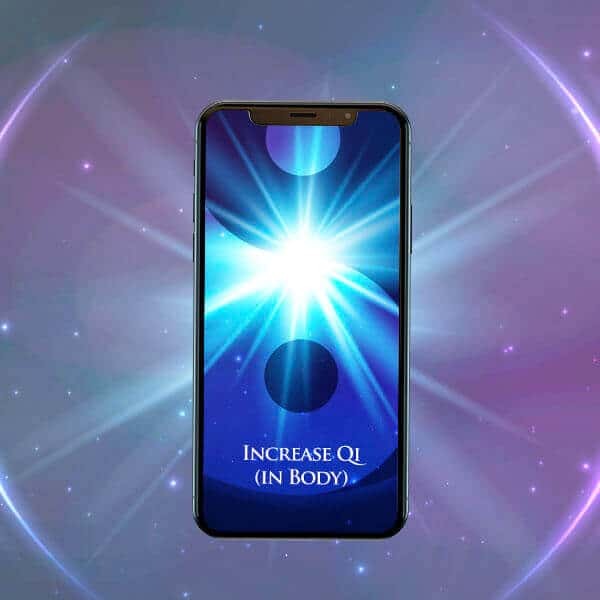 These Ultra Strength quantum energy qi apps are energetically encoded picture files that transform your electronic devices into powerful vibrational tools for healing and personal development.